A Massachusetts man was detained Sunday after TSA officials said he brought a loaded gun to a security checkpoint at Logan Airport. 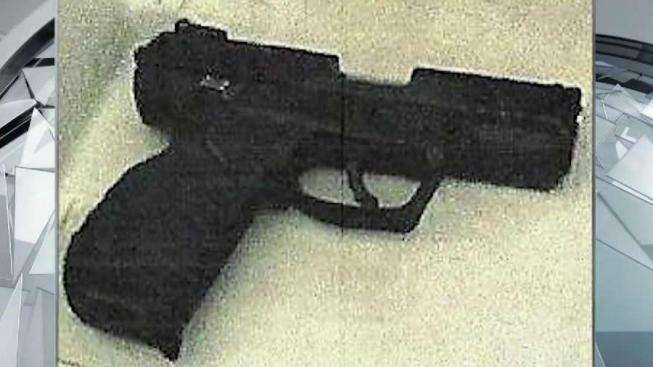 A Massachusetts man was detained at Boston's Logan Airport on Sunday for having a loaded handgun in his carry-on bag. Transportation Security Administration officials said the Weymouth man was carrying a .22 caliber handgun loaded with 10 bullets, including one in the chamber, when he arrived at the security checkpoint. TSA officers, who spotted the gun in the X-ray machine, contacted Massachusetts State Police, who arrived, confiscated the gun and detained the man. The man, who has not been identified, was questioned before being allowed to leave the airport to take the gun home and re-book his flight. The firearm was the fourth TSA officers have detected so far this year, including three of them in March alone. In 2018, they said 21 firearms were detected, and in 2017, 14 firearms were detected. TSA is reminding people who bring firearms to checkpoints that they are subject to possible criminal charges from law enforcement of up to $13,000 for weapons violations. Details on how to properly travel with a firearm can be found on the TSA's website.